Of course we love birds of prey. 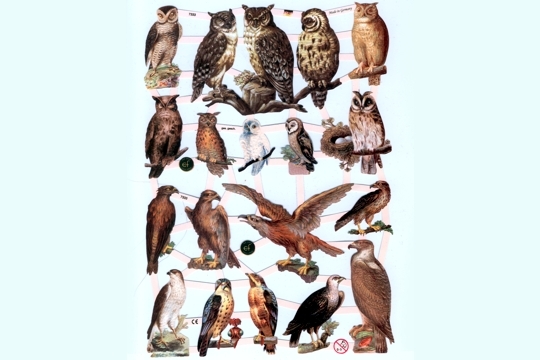 This great sheet of scraps features such birds, mostly owls and hawks. Each bird is more elegant than the next! There are 19 different birds in all manners of life: flying, nesting, sitting on branches, sleeping, etc.